When you first bought your Subaru, it was in great shape; if you want it to stay in that great shape, you’ll need to schedule regular maintenance. There are a few simple things that you can have done for your vehicle that will keep it running at its best for longer. Having that maintenance performed at a dealership you can trust is important for you vehicle’s health and your peace of mind. Here at Garavel Subaru, our service center is filled with highly-trained technicians who have been working with Subaru vehicles for years. We know these models inside and out, so you can rest assured that we know just what your vehicle needs to get ready to take on the Norwalk roads again. We perform our very best work on each vehicle that comes through our doors so you can feel confident that your car is going to get to-notch service and will be driving its best the next time you get behind the wheel. Whether you need a simple wheel alignment or a serious repair, we would be more than happy to help. We are conveniently located at 10 Tindall Ave, Norwalk, CT 06851 and we will gladly take care of all of your auto service needs. Please use the buttons below to schedule a service appointment or contact our service department. We can be reached by phone at 203-496-8500. 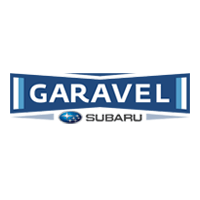 Why Service at Garavel Subaru?